This Policy explains the current information management practices of the Charity relative to our websites www1.specialolympicsontario.com, www.torchrunontario.com, and www.sohigh5.com (the Sites) and all other communications in which personal information is collected, used or disclosed by the Charity. The Personal Information Protection and Electronic Documents Act (the PIPEDA), is federal privacy legislation that applies to organizations in Canada that collect, use or disclose personal information in the course of a commercial activity. Specified exceptions include business contact information and certain publicly available information including information appearing in a telephone book and in professional or business directories or listings, where the collection, use and disclosure of the personal information relate directly to the purpose for which it appears in the directory or listing. When you provide personal information through our Sites or by other means, that information will be collected in order for you to use or receive certain products and services. Any personal information collected by means other than from the Sites will also be managed as indicated herein. We strive to take the same care of the information you provide to us under these options, as we do with information collected via the Internet. Personal information provided to the Charity will be used and disclosed only for the purposes set forth in this Policy or as otherwise communicated to you at the time you provide us with that personal information. Before personal information is used or disclosed for a new purpose, we will obtain your consent, unless disclosure without your consent is otherwise permitted or required by law, regulation or court order. In addition to the foregoing, in order to reach a greater number of potential donors and sponsors, donor and sponsor information is exchanged with or rented to other organizations that share our charitable objectives. If you wish to know the names of these organizations please contact us at your convenience. If you prefer that your name be omitted from the lists generated in this way, please advise us by sending an e-mail message to the Privacy Officer at the coordinates provided below. Once your e-mail is received, we will attempt to change the status of your records to indicate your request as soon as possible. Please provide us with your full and exact name (first and last) and address (unit number, street number, street name, town/city, province, and postal code) and your donor I.D number if available. You have the option to refuse the collection of personal information and, subject to certain legal or contractual restrictions and reasonable notice, to withdraw your consent to the continued use and disclosure by the Charity of personal information previously collected. You may withdraw your consent by writing to the Privacy Officer at the coordinates provided below.  Please note that such refusal or withdrawal may render us unable to provide you with certain programs, services and information offered by the Charity. Upon your written request to the Privacy Officer at the coordinates provided below, you may view your personal information and may request amendments where it is demonstrated that the information is inaccurate or incomplete. Please note that under certain circumstances, you may not be permitted to view your records, such as where such disclosure would raise security, legal or confidentiality issues. Our Sites link to other websites created and maintained by other public and private organizations including affiliates of the Charity. We provide these links for your information, convenience and/or for use in conducting the Charity’s business. When you link to an outside website, please be aware that you are leaving the Charity’s Sites and our information management policies no longer apply unless otherwise specified. We assume no responsibility for the content or privacy practices of any linked website at any time or for the link itself. 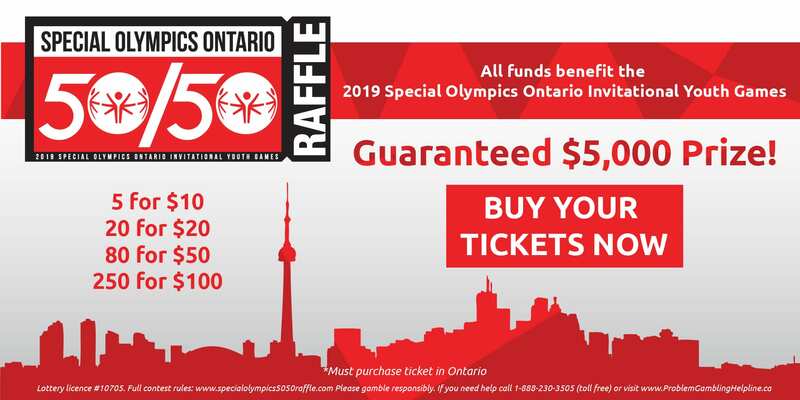 The linking to or from another website does not imply on the part of Special Olympics Ontario Inc. any endorsement or guarantee of any of the organizations or information (including the right to display such information) found on their respective websites. IP addresses are collected as you navigate the Sites and are used to analyze trends, administer the Sites, track users movements, and gather broad demographic information for various uses. The protection of your personal information transmitted through our Sites or connected websites, including your financial and credit card details, is important to us. Although the Charity does not have the technological capabilities of its own to ensure that such information is transmitted securely, some of the connected websites may use Secure Socket Layer (SSL) encryption technology to secure sensitive information exchanged between your computer and those websites, and to limit access by third parties. Additionally, data collected on the servers of certain websites is protected by firewalls. However, be aware that only where you see https:// is information expected to be secured. Before committing to any transaction on a website, please ensure you are completely aware of the specific safeguards in place for that specific website. Complete confidentiality and security is not yet possible over the Internet, and we assume no liability for any damages you suffer as a result of interception, alteration or misuse of information transmitted over the Internet. We have taken reasonable precautions to ensure that all personal information we collect is stored in secured office locations accessible only by authorized staff, agents and representatives. Disposal of information, including by shredding is conducted on-site. Although we will take the steps indicated above to protect your personal information, complete privacy during use of the Sites cannot be guaranteed. The Charity shall not be responsible for any harm that you or any person may suffer as a result of a breach of the confidentiality of your personal information in respect to your use of the Sites, including any information you transmit to the Sites or any connected website. Furthermore, the Charity shall not be liable for any damages, costs or injury caused by, any failure of performance, error, omission, defect, delay in operation or transmission, computer virus, line failure or any cause beyond the Charity’s control. Special Olympics Ontario also accepts online donations through http://www.canadahelps.org/. In the event you would prefer to donate by phone using your credit card, you may call our Donations Assistant toll free at 1-888-333-5515 ext 229 or in Toronto at 416-447-8326 ext 229. The Sites could include technical or other inaccuracies or typographical errors and are provided to you on an as is basis without warranties or representations of any kind. The Charity, its affiliates and service providers make no representations and disclaim any warranties and conditions of any kind, including regarding accuracy, timeliness, completeness, non-infringement, quality or fitness for any particular purpose or those arising by law, usage or course of dealing. The Charity, its affiliates and service providers assume no responsibility for the consequences of any errors or omissions. The Charity may make any changes to the Sites at any time without notice. The Charity, its affiliates and their respective directors, officers, employees, or agents shall not, under any circumstances, be liable for any damages whatsoever, including without limitation, those arising from any decision made or action taken by you in reliance upon the content of the Sites, whether resulting from the use of or inability to use any content on the Sites (or a site linked to the Sites), or any other cause; and even if caused by The Charity’s, its affiliates or, their respective service providers negligence, and even if any of them has been apprised of the likelihood of such damages occurring. Any non-personal communication, comment, idea or material you post or transmit to the Sites is, and will be treated as, non-confidential and non-proprietary. By transmitting or posting any communication or material to the Sites you grant to the Charity and all of its affiliates, an unrestricted, irrevocable license to use, sub-license, reproduce, display, modify, transmit, distribute, publish, broadcast or post your communication for any purpose. You also agree that the Charity is free to use any ideas, concepts, know-how or techniques that you send us for any purpose. You acknowledge and agree that any chats, postings, or other communications on the Sites by users are not monitored, screened, sanctioned or endorsed by the Charity. The Charity reserves the right, but not the obligation, to monitor the content of the Sites, and to remove, refuse to post or edit any material or content which the Charity, in its sole discretion, determines to be in violation of the provisions hereof or otherwise objectionable. Visitors to the Sites shall remain solely responsible for the content of their communications. If you have any questions, comments, or concerns as to the use, collection or disclosure of your personal information or our privacy practices, please contact us by writing to the Privacy Officer at Special Olympics Ontario Inc., 65 Overlea Blvd., Suite 200, Toronto, Ontario M4H 1P1, sending an e-mail message to privacy@specialolympicsontario.com or calling us at (416) 447-8326. Please provide us with your full and exact name (first and last), address (unit number, street number, street name, town/city, province, and postal code) and I.D number if available. YOU ACKNOWLEDGE THAT YOU HAVE READ THIS POLICY, UNDERSTAND IT AND AGREE TO ALL OF THE TERMS AND CONDITIONS IN THIS POLICY. YOU WILL BE GRANTING YOUR CONSENT TO THE CHARITY’S COLLECTION, USE AND DISCLOSURE OF YOUR PERSONAL INFORMATION IN ACCORDANCE WITH THIS POLICY EVEN IF YOU HAVE NOT READ THIS POLICY.